In the last eighty years existed almost no opportunities in Königsberg to remember and commemorate the Jewish ancestors. 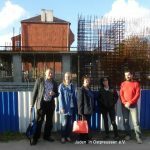 Today’s Jewish Kaliningrad citizens are rebuilding the synagogue on their own initiative. This building will provide space and development for all Jews of the city, regardless of their denominations. And this synagogue will also be a place of remembrance of all the Jews who lived in Königsberg in earlier times. 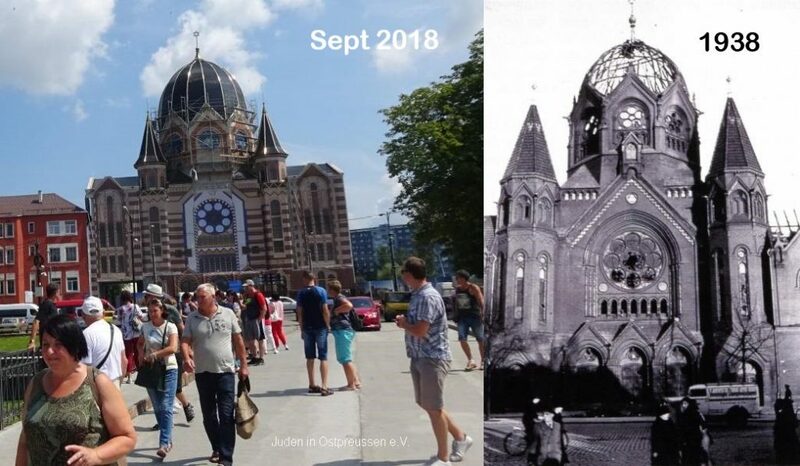 You now have a chance to contribute with your financial commitment to Jewish life in Kaliningrad, while remembering your ancestors and making their names visible in the city again. It is not a miracle…. who have a longing for a building for their community so that they can gather, to create a space for prayer, for learning, for teaching, to meet and to celebrate together. The Synagogue is a symbol for the city and the country that one contributes to the community and that one is proud and grateful to be Jewish. Now the time has come to support these local efforts. 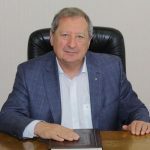 After large contributions during the first years of a man like Vladimir Katzman, many other local business people joint and now people who have to live on a modest salary or a small pension gave a lot. One example: A member of the community, a veteran who survived the Holocaust and the war, and now, spite his age and his single income, a modest pension, donated all his savings, that’s almost a million rubles, for making doors and installing them in the building. So much has already been achieved, but there is still much to be done. The believers have always considered the construction of prayer houses to be the greatest virtue and the most loved thing. The synagogue has always been created by the whole world. On this sacred deed the widow’s last pennies and the rich people’s generous donations have always been spent. We will remember that the synagogue always prays for builders, benefactors and donors. 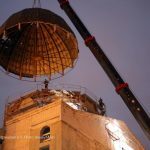 Putting the dome on the roof of the rebuilt synagogue of Koenigsberg (122 years after the first inauguration, 80 years after destruction in the November Pogrome 1938). Photo: Alexey Minin. Exhibition “The Jews of Königsberg at the turn of the 20th Century“ at the Museum for Arts and History of Kaliningrad. It contained documents and photos about the Jewish Citizens of Konigsberg at the time of the first opening of the synagogue in 1896. Establishment of the synagogue Construction Foundation’s Board of Trustees. 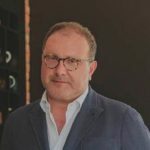 Picture Leonid Plitman, Chairman of the Board of Trustees of the Synagogue Foundation. Providing a land of plot for the purposes of Completion of the construction of the unfinished object. (The synagogue and community center). 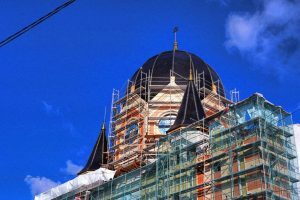 The mentioned land plot is later subleased to the Kaliningrad synagogue Construction Foundation, a non-profit organization, which finances the construction of the facility, and also controls over the construction quality and timing. Registration for property rights to the object of unfinished construction. The building of the Jewish orphanage receives the status of a cultural heritage object. Signing of the memorandum on cooperation and Interaction for the Purpose of implementing the synagogue and community center Construction Project. Contact between Society “Jews in East Prussia” and the Kaliningrad synagogue Construction Foundation. A judicial decision to issue a permit for construction of the object of the major construction. Obtaining a land plot development plan for the synagogue construction. A judicial decision to move the Yantar Tent circus. The first stone in the restoration of the Koenigsberg synagogue. 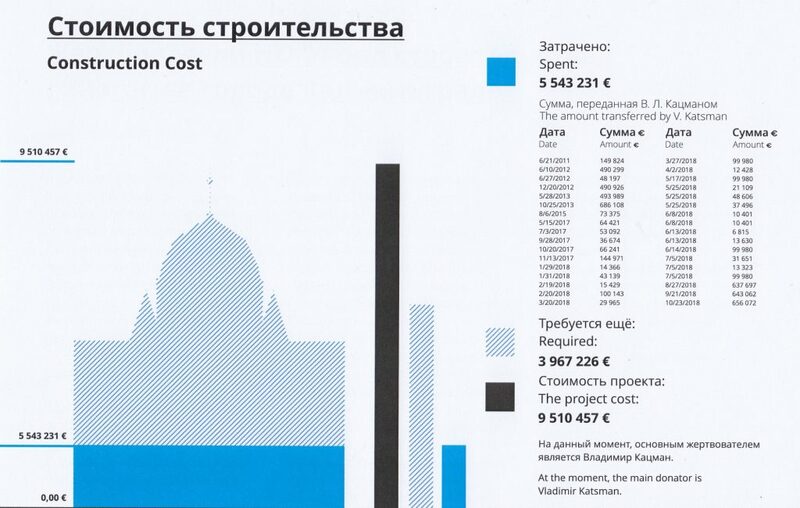 Establishment of the Kaliningrad synagogue Construction Foundation, a non-profit organization. Picture Vladimir Leonidovich Katsman, the main benefactor ofthe foundation. 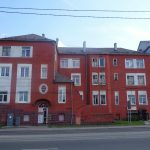 Administration of the city of Kaliningrad municipality provides the Jewish community of the City of Kaliningrad, a Jewish religious organization, with a land plot in Oktyabrskaya Street in the Moskovsky District of Kaliningrad for the uncompensated fixed-term use (for 5 years) for the purpose of construction of a synagogue building.